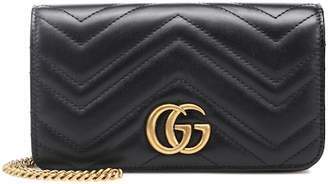 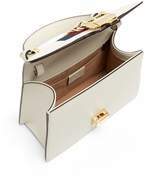 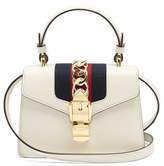 Gucci - The scaled-down proportions of Gucci's off-white leather Sylvie bag make it perfect for after-hours styling. 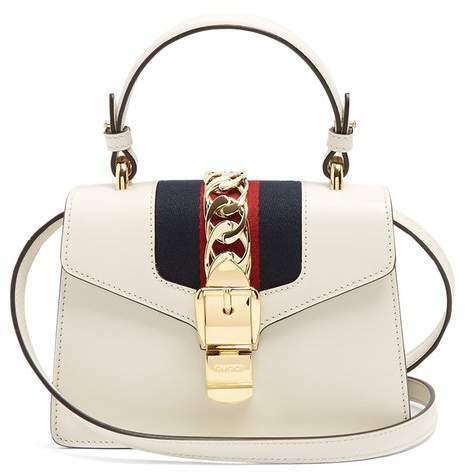 It's made in Italy with a slender top handle and coordinating detachable shoulder strap – both of which are finished with black lacquered edges – then detailed with the house's hallmark navy and red Web-striped canvas insert, alongside a gold-tone metal chain and buckle plaque. 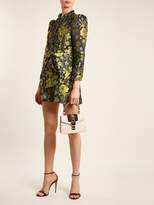 Tote it against a backdrop of metallic floral-brocade for the most striking take.